Home Solutions of Iowa has received GAF’s most prestigious contractor award: The GAF President’s Club Award. 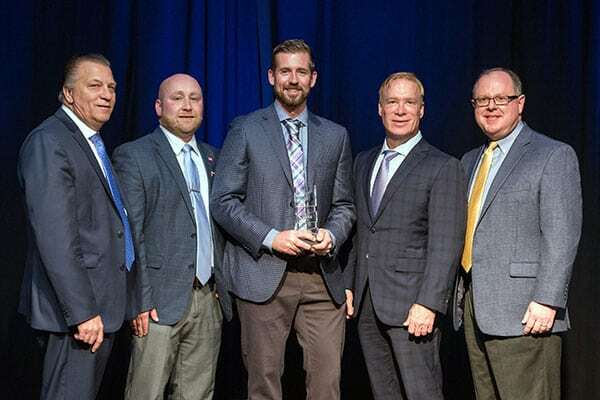 This highly coveted award recognizes Home Solutions of Iowa as one of the “elite of the elite” residential roofing contractors in the United States. GAF is North America’s largest roofing manufacturer, and only GAF Master Elite® Contractors can compete for its President’s Club Award. To qualify for this award, a contractor must demonstrate an exceptional level of excellence in their business, especially in the areas of Installation Excellence, Consumer Protection, and Installer Training. LeafGuard® by Home Solutions of Iowa has been a GAF Master Elite® Contractor since 2011. To become a Master Elite® Contractor—a status that less than 2% of roofing contractors nationwide have achieved—a candidate must demonstrate proper licensing and adequate insurance, have a proven reputation and show commitment to ongoing professional training. Communication is a key part of Home Solutions of Iowa’s success. “Throughout all four of our offices, we have a family atmosphere—everyone gets along well, and we act as a team,” concludes Anderson. “That’s a ‘human side’ that we want everyone to see. In the coming year, you’re going to see a lot more of that from Home Solutions of Iowa; your neighborhood contractor— who provides excellent customer service, quality workmanship and products that will last a lifetime. Everyone I was in contact with was friendly and the installers did exceptional service. - Brian K.
The fact that I never have to get on a ladder to clean leaves out of the gutters again makes me happy. - Bruce P.
Anything I asked them to do they were able to get done. I think very highly of them, everyone did a great job. - Bud W.